Redza Piyadasa hails from Kuantan and was born in 1939 and he received his early education at the Sekolah Abdullah in his hometown. He obtained his ‘Certificate in Education’ from the Institute of Education at the University of Birmingham in England where he continued to study at the Hornsey College of Art in England where he obtained his Diploma in Art and Design in 1963. Redza then progressed to finish his Post-Graduate Studies at the Art Department of the University of Hawaii, in 1997, where he majored in Asian Art History Studies and Graduate Sculpture Studies and finished his MAF (Master in Fine Arts) there too. 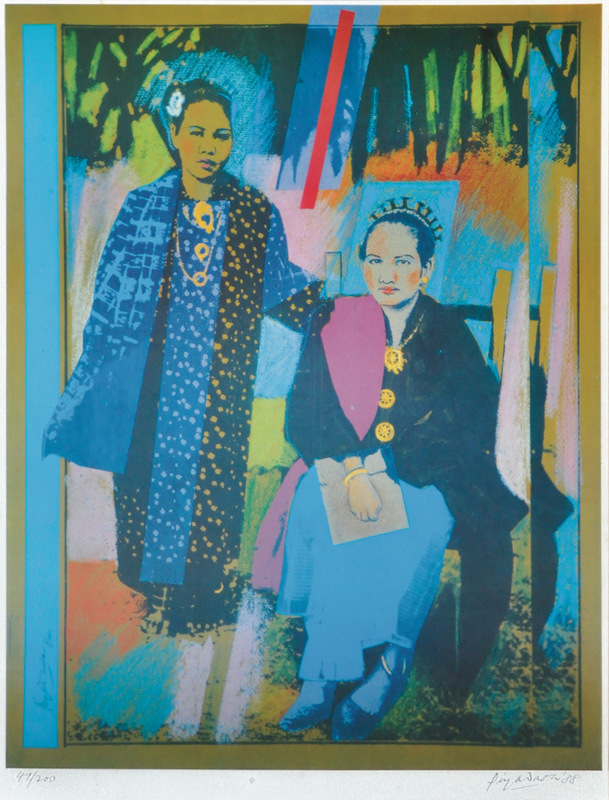 This print is from his famous series called The Malaysian series which focus on Malaysia’s multiculturalism and plurality through a series of portraits of families or ethnic individuals in traditional dress and garb amidst a backdrop of the government’s radical Islamisation of the nation. Piyadasa had made several silkscreen versions of this work based on a work by an Indonesian artist. The series began in 1982 and included pieces in the collections of National Visual Arts Gallery, Malaysia and Fukuoka Art Museum, Japan.